Thrace Group will participate at the leading trade event of the fresh fruits and vegetables sector, that will be held at the exhibition center of Messe Berlin. 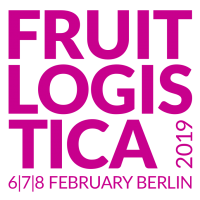 Fruit Logistica is the annual trade event of all professionals within the fresh fruits and vegetables value chain, ranging from producers, packaging solutions suppliers and machinery manufacturers to logistics experts, wholesalers and agriscientists. This year, more than 3,200 exhibitors and 78,000 trade visitors from 130 countries will be joining Fruit Logistica, to discover the latest key trends and innovations and also build the foundations of new business partnerships. Thrace Group will be showcasing its full range of technical fabrics, that help you increase your yield through protection (i.e. groundcover, weather protection nets and fabrics, root barrier, mulching film and foliage removal fabric). Visit Thrace Group's Stand: Hall 9 - D27.